The FDA-approved UroLift® System is a novel, minimally invasive technology for treating BPH. UroLift® implants lift and hold the enlarged prostate out of the way, relieving prostate obstruction symptoms by opening the urethra directly. The UroLift® implants are delivered during a transurethral outpatient procedure that can be done in the physician’s office under local anesthesia. Treatment using the UroLift® System is a straightforward procedure that allows urine to flow normally again without cutting, heating, or removing tissue. Patients with enlarged prostates who were treated with the UroLift® System have experienced a significant improvement in quality of life. Sexual function has been preserved among the hundreds of patients treated in clinical studies.2,3,4,5,6 This is a unique benefit of receiving treatment with the UroLift® System compared with other BPH therapies such as transurethral resection of the prostate (TURP), laser, and even medication. Is UroLift® a Permanent Treatment? How Does the Urolift® System Work? An enlarged prostate can narrow or even block the urethra. 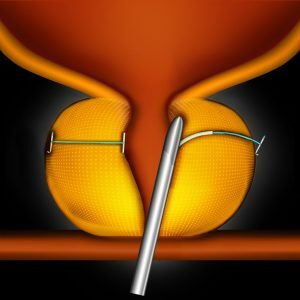 The UroLift® Delivery Device is placed through the obstructed urethra to access the enlarged prostate. 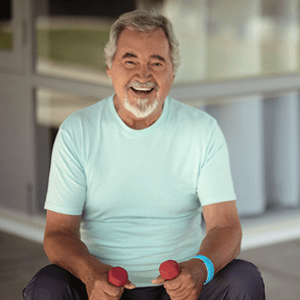 Small UroLift® Implants are permanently placed to lift or hold the enlarged prostate tissue out of the way and increase the opening of the urethra. The permanent Implants are delivered through a small needle that comes out of the UroLift® Delivery Device and into the prostate. The UroLift® Delivery Device is removed, leaving an open urethra designed to provide symptom relief. How do I Know if I am a Good Candidate for UroLift®? You and Dr. Toubin will determine whether you are a good candidate based on your history of symptoms, your physical examination, and additional testing as necessary. Most men with enlarged prostates and urinary symptoms may be good candidates for UroLift® treatment. With the UroLift® System, patients can also still have other treatment if they need it. The first step to addressing your symptoms and the correct treatment is to schedule a consultation with Dr. Toubin. He and his staff will work with you and your health plan regarding your healthcare benefits specific to the UroLift® System procedure. All Medicare carriers provide benefits for the UroLift® System when medically necessary. Men in the Dallas area now have a new, minimally invasive BPH treatment option! Call us today for your appointment to discuss UroLift®!